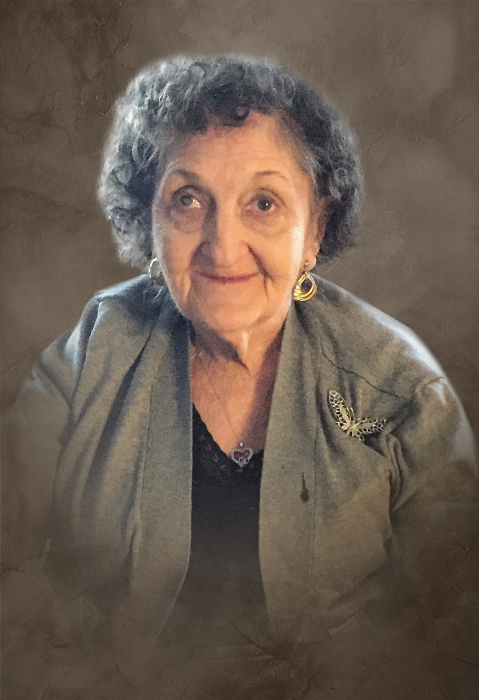 Hazel Neal Roberts age 86 of Smithville, went to her heavenly home on Thursday, April 4, 2019. Everyone that knew her could say that we were blessed to have known such a special lady. She was most definitely an angel on Earth, but now she's a true angel. Hazel was born November 14, 1932 to her parents, the late Henry and Bessie Melton DeLong. In addition to her parents, she was preceded in death by her first and second husbands, Tom Neal and E.J. Roberts; 1 son, Eddie Neal; 3 step-children, Eugene Roberts, Cecil Roberts, Brenda Koontz. She was a member of Mt. Hope The Baptist Church and recently attended Tabernacle The Baptist Church and was a long-time employee of Genesco. She leaves to cherish her memory, 4 children, Floyd (Linda) Neal of McMinnville, Rose Ellen (Larry) Stevens of Smithville, Janet (Darrel) Trapp of Dowelltown and Donna (Buddie) Robinson of Smithville; 1 step-daughter, Geraldean (Wayne) Madewell of Rock Island; 9 grandchildren, Emily (Nick) Vanatta, Joni Robinson, Kessie Robinson, Zeva Robinson, Jayrah Trapp, Jamison Trapp, Tony Neal, Marty Stevens and Sandra (Matthew) Majors; 9 step-grandchildren; 1 great-grandchild and 1 great-great-grandchild; brother-in-law, Waymon Roberts of Morrison and a host of church family and friends. Funeral services will be conducted 3:PM Sunday, April 7, 2019 at DeKalb Funeral Chapel with Bros. Garry McBride and Tim Pack officiating and burial will follow in Banks Cemetery. Visitation with the family will be on Saturday 2:PM until 8:PM and Sunday 10:AM until the time of the service at 3:PM. In addition to flowers, the family asks that donations be made to either Mt. Hope or Tabernacle The Baptist Churches or the Dementia Association, in memory of Ms. Hazel. The family would like to extend a special Thank You to the staff of Intrepid Home Health Care of the love and care shown to Ms. Hazel. DeKalb Funeral Chapel is in charge of the arrangements.